Europe’s largest BikeFest, the annual BMW Motorrad Days, is taking place this July 1-3, 2011 in Garmisch-Partenkirchen, Germany. This year BMW is welcoming the MonoTracers of Switzerland to join in the celebration. Peraves representatives are piloting several MonoTracers to the event including the all electric MonoTracer-E. See BMW‘s enthusiastic press release below announcing the attendance of the world’s most energy-efficient high performance vehicles, the Peraves MonoTracers powered by BMW in the MTi-1200 and by AC Propulsion in the all electric MTe-150. 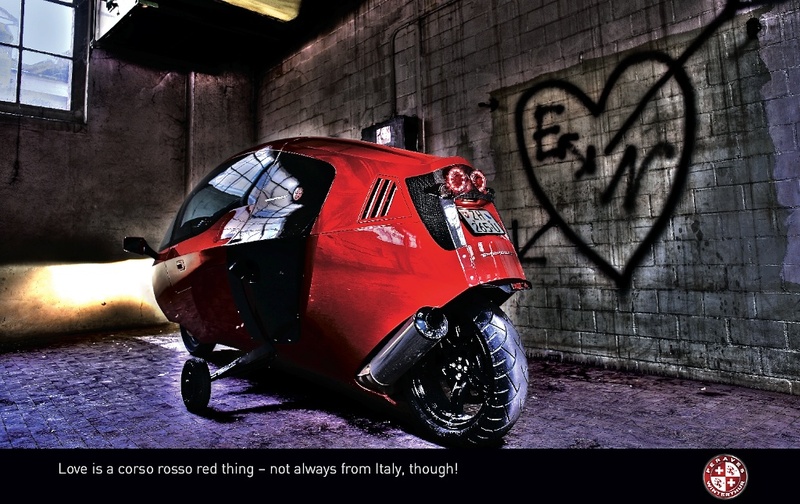 Love is a corso rosso red thing - not always from Italy though! In addition to the comprehensive line-ups of BMW and Husqvarna models on display at this year’s BMW Motorrad Days, there are some very interesting machines for visitors to see on site at Garmisch-Partenkirchen, including the BMW-powered MonoTracer and new MonoTracer-E from Swiss company Peraves. Is it a bike or is it a car? Whatever your opinion, these hand-built, high-performance sports machines have the riding characteristics of a motorcycle, but benefit from two seats and a closed cabin for extra comfort and weather protection. What’s more, they are extremely economical, with the MonoTracer returning 100 kilometres from just 4.1 litres of fuel, with emissions of just 99 g of CO2 per kilometer. These impressive figures aren’t at the expense of performance either, as the MonoTracer is capable of speeds up to 160 mph (240 km/h) and acceleration of 0 to 60 mph (100 km/h) in 4.8 seconds, thanks to the legendary four-cylinder BMW K 1200 LT engine that powers it and its wind-tunnel developed aerodynamic body that allows it to slip through the air with ease. As motorcyclists, we’re sure you’re wondering what it’s like to ride this long-wheelbase machine? While there are similarities to both cars and motorcycles, the MonoTracer is neither one, nor the other, so you have to learn a new way of driving/riding. For a start, you can’t put your feet down at a traffic light, or stop junction, as you would on your bike. MonoTracer uses retractable stabilizers to hold it in position, which can then be raised when you move off. It leans like a motorcycle, and allows for serious cornering angles (up to 52 degrees) but of course the riding position is completely different, as are the controls. Flip up the side door and look inside the ‘cockpit’ and you’ll see motorcycle handlebars, as well as pedals either side of the center console. The clutch is operated by the left pedal (as on a car) and the right pedal operates the brakes. You change gear via a switch on the left handlebar and there is also a conventional brake lever on the right bar. 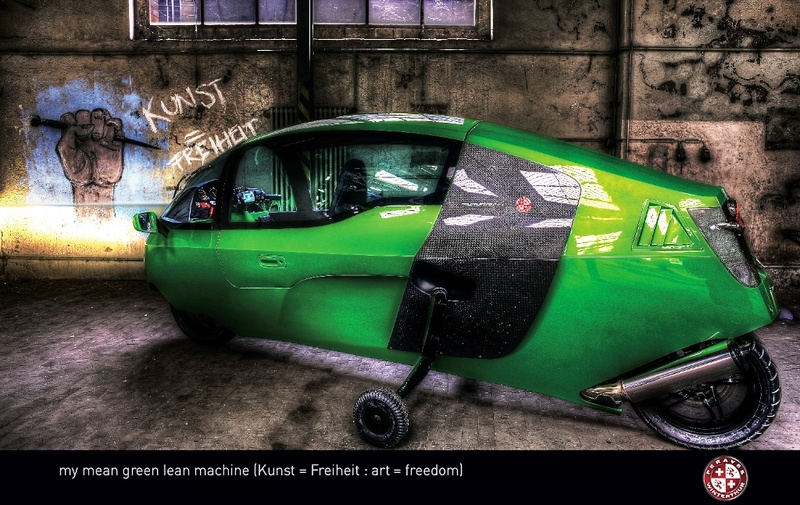 The MonoTracer has been in production since early 2009, although only around 20 of them are made each year. For those interested in electric platforms, an electric-powered MonoTracer-E will also be on show at BMW Motorrad Days. It will be on sale to the public later this year and boasts operating costs of around one tenth of the already very economical MonoTracer, albeit with a higher purchase price due to the cost of the batteries. Charging costs for the MonoTracer-E on a peak electricity tariff are approx € 0.59 and of course you can forget about the clutch (you don’t need one) or the cost of any oil, fuel and air filters too. A full charge gives a range of about 300 km (at a constant 100 km/h) after which the MonoTracer-E battery has to be charged for at least 1-hour (20kW connection) or for 5-6 hours at any household plug-in. The MonoTracer-E has already made it into the Guinness Book of Records, as the fastest, most efficient and dynamic electric vehicle in the world. With only a few of them in existence worldwide, don’t miss out on the chance to see this amazing vehicle and its K 1200 LT-powered counterpart at BMW Motorrad Days, where you can also meet representatives from the Peraves company and arrange a test ride/drive at a later date. 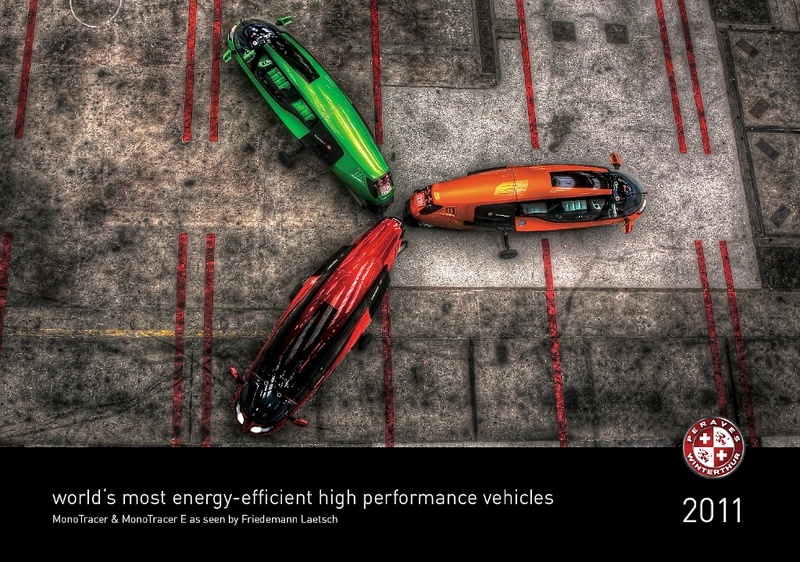 Peraves MonoTracers - The world's most energy-efficient high performance vehicles. This entry was posted in Peraves and tagged AC Propulsion, BMW Motorrad Days, Garmisch-Partenkirchen, MonoTracer E, MTe-150, MTi-1200. Bookmark the permalink. “Love is a corso rosso red thing.” Stefano, you have been deeply in love with these “things” for quite some time, and it shows in your blog. Beautiful coverage. wow that is indeed a great coverage. And indeed those are some real out of the box power machines. All the best to such events and of course as well BMW is participating big time as ever.